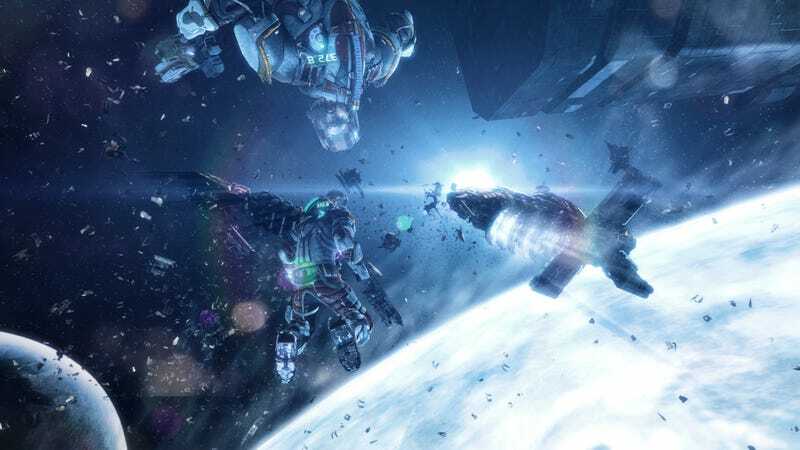 The Dead Space series was riding high after the release of Dead Space 2 in 2011, having become one of the most highly-rated horror series of all time. Even today, people still praise Dead Space 2 as an incredible horror game. Unfortunately, Dead Space 3 was poorly received. What happened? How did Dead Space go from hero to zero? When it launched in 2008 alongside Mirror's Edge, Dead Space was part of an incredible one-two offering of original games from EA. It was cut from the cloth of System Shock 2, the sci-fi horror adventure that inspired some of the industry's greatest games, including Portal and Bioshock. Dead Space looked great, played better, and went on to become one of the best horror games of the seventh generation of consoles. Development studio Visceral and EA followed with Dead Space 2, which was, in many ways, the perfect sequel. Alright, what's a perfect sequel? What determines whether or not a sequel is any good? Judging by the response most audiences have, it's "more of the same, but different." When we watch, say, Blade Runner, we start building emotional connections. That deep blue lighting means something, as does the rain, the neon, Vangelis' music, the performances, the sound, the lenses, the atmosphere, everything. The entire movie is a synthesis of light and sound that affects our brains in a very particular way, and that's true of all art we consume. Everything has a unique emotional identity attached to it. The problem with watching Blade Runner a second time is that our experience has changed. We know what's coming next. We know how it works, how it ends. We're not watching it for the first time again. We want a sequel to Blade Runner to be the same because we liked the movie, but we want it to be different enough that it feels just as fresh and new as Blade Runner did on our first viewing. A good sequel is the same, because it's still attached to the identity of the series, but it's different, because we're discovering it for the first time. That's a hard balance hard to pull off well, but Visceral managed it beautifully. Dead Space was a tense horror game with fairly good combat and variety. Dead Space 2 tightened its predecessor's pacing while broadening its scope. The gaps the original had in enemy diversity were filled with terrifying new enemies. Jump scares took a backseat to lengthier moments of tension, but those few "gotcha" moments that remained were some of the best in the game. Firefights felt robust and meaty. The story's structure and characters were more memorable. So, before we can talk about what Dead Space 3 isn't, we need to identify what Dead Space, in general, is. On the surface, that seems simple: third-person horror game with an emphasis on cutting off monster limbs. The only problem is, Dead Space Extraction is a fun first-person rail shooter. So, right away, we see that despite a change from third to first person perspective, Dead Space is still Dead Space. Additionally, plenty of people have made horror games where you cut off monster limbs. Dead Island's tropical zombie dismemberment comes to mind, but can you really imagine Isaac Clarke clomping around a South Pacific vacation resort in those big engineering boots of his? In other words, "a third person horror game with an emphasis on cutting off monster limbs" isn't an accurate description. In film, a story is told through a series of images and sounds edited together to create meaning. In a novel, a story is told through the placement of words on a page. Theatre is the live performance of a story, a sort of happening that takes place in the now. Every medium speaks its own unique language: in games, or at least 3D games, stories are told through interaction with a virtual environment. While games often use film techniques for their cutscenes, the unique strength of the medium is found in gameplay. The language of video games as a medium is gameplay. What is gameplay? It's the way in which you interact with the game space. Gameplay is the decisions you make, the actions you take, and how these things play out. No other artistic medium speaks this language. If every medium speaks in a unique language, then every work of art in that medium speaks its own dialect. Blade Runner's essence is its dialect—it looks, sounds, and feels different than, say, The Wizard of Oz or Caddyshack. The perfect sequel is one that speaks the language and maintains the dialect, but adds enough to the vocabulary to keep things fresh. Dead Space's dialect is unlike any other game out there. It's the quiddity of Dead Space—the thing that makes it what it is. But what defines that dialect? Right off the bat, Dead Space creates these places you're in that are often huge. The sense of scale in the game is breathtaking, yet it's used to make the player feel claustrophobic. Players feel dwarfed in comparison to the vast spaces and gigantic monsters within. Couple that with limited resources, and players feel particularly small and powerless. The environment is industrial and full of artwork that's heavily-inspired by 40s-era propaganda pieces. Isaac wears big, clompy boots that slow and solidify his movement. Battles are tense because of the limb-severing required to slow enemies. Then there's sound. Chances are, if someone put a blindfold on you and said "guess which game you're listening to," you'd pick out Dead Space every time. Few games have sound design as unique and brilliant as Dead Space's. Everything works together to establish this very cohesive universe, from the sound items make when they are in range of your heads up display to the guttural screech and groan of the necromorphs to the bleeps and blips of the world's various interfaces. Play Dead Space 2 and you'll get the same strong aural identity. Play Dead Space mobile, Extraction, or Ignition and it's the same thing. The game's feel is important too: Dead Space makes you feel like a tank without giving you the horrible tank controls traditionally associated with horror games. Instead of feeling like you're stumbling around in a bad dream, you're very much in control, but you're no ninja—you've got a feeling of weight and mass. The level design complements this, restricting movement without feeling artificial and draconian. Limb-severing is of vital importance as well, but not simply as a cool feature. Dead Space features enemies that charge to attack you. Unlike those types of enemies in traditional shooters, body shots aren't enough to kill them. Much like Alan Wake's flashlight-weak enemies or Halo's Hunters, Dead Space features combat that is about managing threats rather than pointing at enemies with a gun and clicking until they die. You cut off a monster's legs or use stasis to slow it down. The force gun pushes them back. It's all about enemy management rather than wholesale enemy destruction. So you chop off limbs, sure, but chopping off limbs in Dead Space serves a purpose specific to the series. Then there's the very heart of Dead Space: its inventory. Most people probably don't think about how inventories influence your emotional state while playing a game, but they do. Being weaponless or using a one-hit kill health system in a horror game is all well and good, but it leads to a flat, binary experience. Either you're hiding or you're dying. Once a developer adds a system that emphasizes rationing health, players become more worried. There's an added fear that running low on health packs means you might die. Now throw in weapons: sure, you can fight back against your foes, but what if you're running low on ammo for your fully-upgraded plasma cutter? What if you're about to face a boss, and the only gun you have is a dinky little flamethrower you haven't paid much attention to? What if you don't have enough ammo to kill your enemies? What if your gun won't keep them at range? What if you can't manage them? These are new complications to think about—more stuff to manage. The more you manage, the less certain you feel, and the more terror the game provides. Or, to put it another way: horror games are about uncertainty. Certainty breeds confidence, and horror is about the lack thereof. Weaponless horror games don't scare me; more often than not, I find myself getting bored. Throw in some guns while keeping ammo nice and scarce, however, and you've got the makings of a terrifying experience. Blood, spooky sounds, and sanity systems are great, but nothing makes me feel more vulnerable than an inventory system. It's why System Shock 2 was one of the greatest horror games of all time, and it's why both Dead Space and Dead Space 2 are equally terrifying. All these little tensions we've been talking about work together in just such a way to give us this unique thing that is Dead Space. It's this specific combination of aesthetic elements that produces the series' unique dialect. No other game speaks to us in exactly this way. But, lest we forget, a perfect sequel is the same but different. In other words, a sequel speaks the same dialect, but it's got a larger vocabulary. Dead Space 3 offers many new contributions to the series' vocabulary, but before it came out, I worried that they might be changes to its dialect as well. Fortunately, I was wrong, and many of these ideas actually enhanced the game. As mentioned earlier, using large spaces and limited resources to create a sense of claustrophobia is a defining element of the series. Dead Space 3 builds upon this by giving the player vast areas of space and a constant scramble for oxygen. When the player finally lands on the planet, many of the spaces still feel huge, but this time, it is cold, instead of oxygen, that threatens to kill the player. Functionally, little has changed: the player must still cross large expanses while tending to a dwindling resources. Aesthetically, the vast blackness of space has been traded for the crushing whiteness of a snowstorm. It's a fantastic way to add vocabulary to Dead Space's dialect. The game also adds human enemies which, much to my surprise, don't detract from the experience. Fighting necromorphs still involves running around and managing enemies. Fighting humans involves sticking to cover and shooting stuff. It's not the best cover-based shooter system in the world—that's still Gears of War 3—but it's a neat way to spice up the necromorph combat. The only frustration comes from encountering the necromorphs and humans simultaneously, because players aren't sure whether to stick in cover or to leave it. This can lead to more deaths and hurts the pacing. It's an inoffensive issue—one that stumbles occasionally, but offers more variety to the series. With better polish, it could have been great, because the idea isn't inherently bad. Co-op further enhances the game. 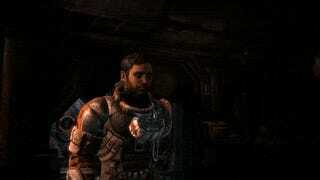 Dead Space 2, the best-received entry in the series, frequently features encounters with other friendly humans. Having a player-controlled human isn't that big of a problem. While the vulnerability of loneliness is a vital element to any good horror game, Dead Space plays with an unreliable narrator element. The two co-op players see two different things, influencing how they play and interact with each other. While hanging around with a person can make things less scary, Dead Space 3 manages it well. So, if all this stuff is good, or at least not bad, what hurt Dead Space 3? Remember when I said that inventory management is quite possibly the most important element in a horror game? Dead Space 3 disregards this entirely. Sure, you still have an inventory system, but it doesn't matter anymore. The crafting system kills it. Actually, this is the entire problem with Dead Space 3. This is where the dialect changes. On the surface, crafting systems seem cool, because they appeal to everyone's inner tinkerer. We get to be creative! Dead Space 3 drops various weapon parts, which players can then take to a crafting table where they can build all sorts of wild and wacky weapons. Instead of having a gun that just cuts off monster limbs or a gun that just sets things on fire, we can make a gun that slices off limbs and melts them with acid, or we can create something that knocks back anything that comes our way before setting them on fire. If you can imagine it, you can probably build it, which would be great… if it didn't completely kill the inventory management aspect of the game. In previous games in the series, each gun has a specific purpose. Flamethrowers are great for tiny enemies, line guns are awesome for crowd control, and the pulse rifle is awesome for use against bosses. Unfortunately, flamethrowers aren't so great at bosses, line guns aren't that useful against tiny enemies, and the pulse rifle's mediocre when it comes to crowd control. If you run out of ammunition for the flamethrower, you'll need to use less efficient guns to solve your problems. We have two different necessities at play here: first, players are weighing the differences between guns and selecting which to use at any given moment. Second, players are searching for ammo and managing what they have. The problem with Dead Space's crafting system is that it lets you build the "perfect gun," something that has no weaknesses and lets you take on all comers. Good action games provide weapons which have strengths and weaknesses, efficiencies and inefficiencies. This must be built in by the designers to add texture to the game. With crafting, you no longer need to weigh the differences between guns. That decision process is removed. On top of this, the game no longer features distinct ammo for different weapon types, meaning that any ammo drop you pick up will work for you. No longer do you have to scavenge the environment for the right ammo—your efficient gun has just gotten more efficient. Those two all-important systems that make for a good action game become irrelevant. Not only that, but the crafting system robs Dead Space 3 of horror. I have a gatling gun that automatically slows down any enemies that get close, and if that fails, I've got a shockwave effect that can knock them back. I can take on anyone without worry. Horror games are all about uncertainty, but with my uber-amazing gatling gun, any monster who opposes me is certain to die. Dead Space 3 isn't scary anymore. Dead Space 3 isn't Dead Space anymore. A great inventory system constantly makes you aware that you need to search the world for supplies; it encourages decision-making in the game space, rather than the menus. If you don't need to pay as much attention to your inventory, you don't need to pay as much attention to the world. More decisions to make in the moment-to-moment play is good. More decisions to make when looking at menus is boring. Even though a crafting system sounds interesting and cool, it kills engagement. When players don't have to think about what guns to bring, what items to carry, or what order to engage enemies in, the game reduces its vocabulary. It becomes flat and boring. Dead Space 3 has the vocabulary of a caveman's poetry. Dead Space 1 and 2, comparatively, were the combined works of Shakespeare. This isn't the only problem, of course, but it is the biggest one. The level design in Dead Space 3, while still attractive, is dull, especially near the end of the game. The game's spaces feel rushed, lacking the sense of detail and design that made Dead Space 2 so good. The levels are robbed of verticality, with the game spaces—and new enemies—establishing frequently repetitive encounters. Rather than change things up, the game feels repetitive. The save system is replaced with poor checkpointing. Regenerating enemies become so common that they become annoying rather than scary. Co-op? Sure. Ice planets? Why not? Microtransactions? Probably didn't pay for the cost it took to implement them, but thankfully, they're buried in the menus. If Visceral wants to make another Dead Space game—and that cliffhanger at the end of the both the campaign and its DLC makes it seem like they do—then Dead Space needs to go back to speaking the dialect we know and love it for. The crafting system doesn't have to be a problem. Imagine a resource system that empowered you to craft individual improvements for your guns that fine-tune them to your play style. The game already features a similar system with the power nodes, so modifying weapons isn't without precedent. Expanding that system to add more detail without reducing the decisions made during the actual gameplay would improve Dead Space, rather than subvert it the way the current crafting system does. Despite missteps with the level design, pacing, and crafting, the series has given us some great games. I'd like to see a new entry to the series set in a living, breathing environment, like a space station—something that feels like a real place, rather than using the spoked wheel design of Dead Space 3. I'd like to see more enhancements to the existing system, rather than reductions, like what came with Dead Space 3. In the ongoing conversation that is the Dead Space series, or any sequel, really, it's important to remember: the perfect sequel is the same, but different. 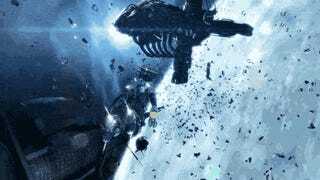 Dead Space 3, unfortunately, was just different. Dead Space isn't dead, fortunately, despite Dead Space 3's poor performance. It's a great series with an easily solvable problem, and Visceral are great developers. I can't wait for more.